What would an extra-terrestrial intelligence (ETI)  make of the current state of development theory? How would the ETI describe the G20 consideration of development? Given the cultural diversity within the G20, what are the prospects for a “Hangzhou Consensus” on development? 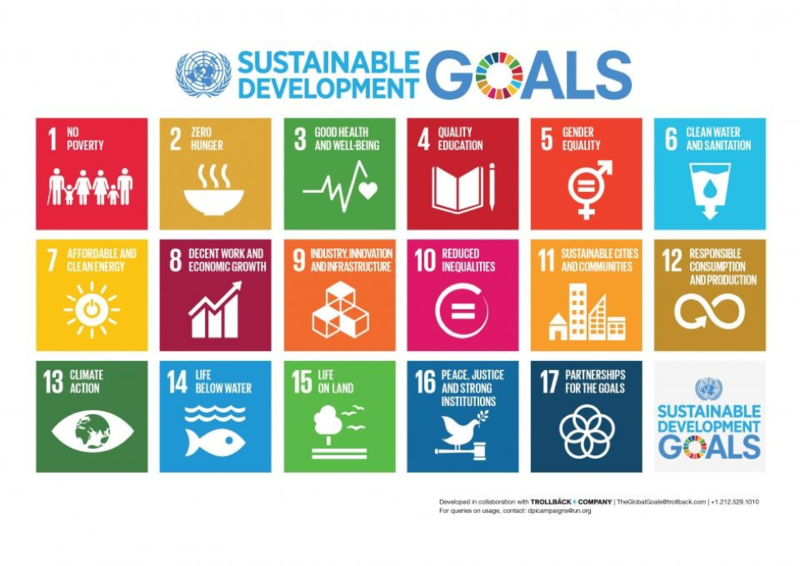 Can the G20 help rescue the 2030 Sustainable Development Goals (SDGs)? An independent observer’s assessment of the debate on development would first note the decades-long list of declarations, action agendas and financing for development conferences. The review would highlight the different cultures of negotiation and decision-making in China and the United States, the two “first among equals” in the G20. This paper explains how an ETI might reconcile the development models of the two apparently incompatible cultures. On this basis, the paper concludes with suggestions of G20 initiatives that may help salvage the 2030 SDGs. Fiscal discipline -- strict criteria to restrict the size of budget deficits. Financial liberalization -- interest rates should be market-determined. Deregulation, abolishing regulations that impede the entry of new firms or restrict competition. Public expenditure priorities -- moving them away from subsidies and administration toward previously neglected fields with high economic returns. Tax reform -- broadening the tax base and cutting marginal tax rates. Increasing foreign direct investment (FDI) by reducing barriers. Secure intellectual property rights (IPR). Incremental reform. “Groping for stones to cross the river”... seek modernity by incremental change rather than through committing all on a “big bang” designed in abstract and imposed from above. Export-led growth. Rely on a large current-account surplus as a source of demand to drive the economy. State capitalism. No pretense of central planning. Resources obtained via purchase at market prices. State-owned enterprises (SOE) advantaged by soft budget constraint being preferred customers of the many state-owned banks. Authoritarianism. The ideal is the collective good of the community. Preserve disinterested policymaking insulated from special interests. Internationally, support national sovereignty irrespective of the decisions implemented or the characteristics of the regime in power. An ETI would wonder if being from another planet was the basis of its puzzlement. An ETI would observe that prospect of any G20 agreement is constrained by significant cultural differences between Asians and Westerners. Cultural differences prevent shared understanding and plague the search for mutually satisfactory outcomes in foreign policy. Distinct Chinese and American approaches to negotiations bedevil attempts to reach consensus. As Donald Rumsfeld observed “All generalizations are false … generalizations are generally wrong, including that one” . For example, as Joseph S. Wu put it, “Chinese culture is so substantive in content, so comprehensive in varieties, and has had so long a history, that to its outsiders, it is very similar to the elephant before the blind men in the ancient story. The blind men could not grasp the elephant in its entirety. They held onto some part and from this vantage point they attempted to describe the whole animal." Generally, aside from individualism versus communitarian values, there are major cultural differences in negotiating style. Asians emphasize relationship building, trust and handshake agreements while impatient Westerners value legal contracts. Westerners are direct; Asians are more subtle. In terms of the importance of relationship building and trust contrasted with the Western dependence on contracts, an ETI would be astonished to learn that on a per capita basis in the United States there are 24 times as many lawyers as in China (there were 1.6 lawyers for every 10,000 Chinese in 2013. There is one lawyer for every 265 Americans ). Recall Sun Tzu’s advice: "Be extremely subtle to the point of formlessness; be extremely mysterious to the point of soundlessness. Thereby you can be the director of the opponents’ fate." Asians’ long-term time horizon and patience  versus Western "short-termism" and obsession with quarterly results. The Chinese principle of non-interference versus the American predisposition on conditionality, proselytization, and missionary zeal. Western altruism versus the Asian tradition of mutual assistance. The Western stress on conditions to allow a flourishing private sector versus the Asian priority of focus on public goods. A G20 consensus must therefore finesse disagreements on time horizon, conditionality, altruism, and the role of the private sector. But the ETI also understood that generally there is a significant different perception of the concept of time. Westerners “view time as linear – from today, through tomorrow, and into future. … However, in China, time is viewed as polychromic and circular where the present is connected to the past.”  Recall the often-cited response that it was premature to assess the impact of the French Revolution. Hu Jintao’s focus for the success of policies and projects was characterized as a 60-year horizon focused upon the greater national good, assuming the long view and leaving room for trial and error. Confucius is often quoted to have said, “The man who moves a mountain begins by carrying away small stones.” The Chinese view accountability through the lens of the generation; the US businessman is accountable by the quarter, with the emphasis on quarterly profit statements. Cultural differences plague debates about conditionality in development assistance. Asian ethnic culture is centered on relationships; people are reclusive, each minding his or her own business (especially with "strangers" and people outside of the relationship network). Western ethnic culture is centered on the individual; people subscribe to ideas like manifest destiny with a "Messianic: let's save the world” outlook. China preaches non-interference. Western prescriptions are perceived as paternalistic and intrusive. “Mutual assistance” is the Chinese mantra to explain the basis of a relationship. The idea of “gift exchange” is interpreted as corrupt bribery in the West . With respect to official development assistance, the Japanese believed that loans were a more appropriate instrument than grants, that the disadvantage of the burden of repayment was dominated by the advantage of instilling a sense of ownership and responsibility. Many Chinese would conclude that only extraordinarily rich or foolish people would disavow “tied aid.” Altruism is perceived as naïve. The ETI wondered if G20 can devise a modern effective development paradigm. The G20’s attempt in 2011, the Seoul Action Plan with nine pillars, was criticized for having too many elements. It was also faulted for inadequate attention to the need for an empowered government. A development concept must emphasize the intrinsic interdependence of economic growth and development and reconcile the cultural differences listed above. The existing G20 emphasis on infrastructure investment resolves the tension on time horizons -- since all agree that infrastructure investments must be evaluated and amortized over many years. Compromise can be reached on conditionality if the conditions are on policies to fight corruption, tax evasion and environmental pollution. The tension between altruism and “mutual assistance” is finessed if joint equity investment becomes the favoured mode of financing development projects. The notion of public-private partnerships reconciles disputes about the role of state owned enterprises versus the private sector. Differences between guanxi and the legalistic approach can be squared by an emphasis on local customs and local ownership. Westerners will be comforted if this is combined with a high priority on anti-corruption. 4. Can the G20 help rescue the 2030 SDGs? Anti-corruption Priority: Ruthless treatment of corruption is a necessary ingredient for provision of cost effective government services and for success in large infrastructure projects. There is universal agreement about the emphasis on anti-corruption. Effective Tax Collection Capacity: Governments require the means to discharge its responsibilities, deliver services, and effect redistribution. Investment in Environment: Sustainability requires a long time horizon and patience (two Chinese virtues) instead of short-termism and an impatient focus on quarterly returns (a Western shortcoming). Joint Equity Model: Western altruism (with conditions on local policies) must be reconciled with the gift exchange model of Chinese culture. The concept is for mutual assistance (virtue and mutual benefit), rather than an unbalanced paternalistic approach. Conditional procurement is not pejoratively referred to as “tied aid.” Grants are replaced with financing including joint equity arrangements. Public Private Partnerships (PPPs): Conservative and libertarian circles in the West object in principle to government involvement despite lower capital costs of state-owned enterprises, which tend to focus more on public goods than profit. However, a new consensus could address the objections by framing state involvement as PPPs, the Western flavour-of-the-month. The concept has gained favour in response to inadequate capital availability in deficit-ridden Western governments. Local Ownership: Smart Cities is one place to start - to exploit the potential of the digital economy. Urbanization is another potential focal point - it is more effective to bring people from remote areas to centres of productive employment with education and health facilities, than to bring modern infrastructure and employment opportunities to remote small towns and villages. The 2030 SDGs are likely to be ineffective, despite all the good intentions and the massive consultative effort. The SDGs have 17 goals and 169 targets. The Economist characterized the result as “Something for everyone has produced too much for anyone. Making matters worse, some developing countries [erroneously] think each extra goal will come with a pot of money, so the more goals, the more aid.”  David Cameron noted there are “too many to communicate effectively," adding, “There’s a real danger they will end up sitting on a bookshelf, gathering dust.”  While some of the criticism is overblown,  perhaps something constructive can be salvaged. There are two avenues by which the G20 can support the implementation of the 2030 SDGs. It can rally efforts by promoting a “Hangzhou Consensus” on development, presenting a coherent paradigm congruent with foundation elements of both Western and Asian culture. Second, it can focus on priority instrumental goals that are means to attain the aspirational goals. The G20 mantra is “Focus, focus, focus” -- do not dilute the agenda. Then the most helpful contribution the G20 can make is to concentrate its efforts on two or three goals that deal with means of implementation rather than ends. There is no need to compete with the UN in framing aspirational goals such as poverty, food security, health, education, gender equality, reduced inequalities and sustainable cities. As the “premier forum” for their international economic cooperation, the G20’s modes of action are, statements for the record pledging to put domestic affairs in order, committing to specific actions or to mobilize resources in international institutions; commending approaches to international organizations; inviting reports to future G20 meetings; establishing Working Groups of G20 Ministers or officials; and establish new international organization. There are several examples where the G20 has attempted to strengthen international institutions -- Goal 16 -- by increasing resources or augmenting mandates (the IMF) or by creating new entities (the Financial Stability Board and the Global Infrastructure Hub). One candidate would be to support the SDG’s energy access and climate action goals by establishing a new entity, built on the 2015 G20 commitment on Mission Innovation , modelled on the Consultative Group on International Agricultural Research . The key in a new Consultative Group on International Energy Research (CGIER) is that the increased investment in energy R&D would be spent inside the countries that fund the research, but that the research results would be patent-free to countries that sign on to the initiative. Another option is to support the SDG Innovation and Infrastructure Goal. The G20 can help secure the future promise of the digital economy by building consensus on future Internet governance. In Antalya, G20 Leaders committed themselves to bridge the digital divide, to oppose ICT-enabled theft of intellectual property, and to respect and protect digital communications privacy. The G20 could commission a report on “The Internet and Growth,” assessing initiatives to promote development by improving Internet security as well as affordability, accessibility, inclusivity, infrastructure, and human digital capacities. The report could provide options for the G20’s potential coordination and catalytic roles. The G20 could reinforce the SDGs by promoting a “Hangzhou Consensus” that reconciles Asian and western values and world views, emphasizing common elements and shared beliefs. The G20 could also support climate and energy goals and strengthen the international institutional system by establishing a new entity to promote clean energy research and stimulate the sharing of results. The G20 could secure the future promise of the digital economy by initiating a process to reach consensus on governance of the Internet, to deliver security as well as innovation and economic growth. If the G20 accepted these ideas, the ETI would conclude its long trip and cultural study was well worthwhile, but would still want to go home. Coming, say, from the planet Kepler-186f. But http://www.markpack.org.uk/38813/zhou-enlai-mao-tse-tung-impact-of-french-revolution/ This makes the point about the perils of translation. “Words do not have twins in every language. Sometimes they have only distant cousins, and sometimes they are not even related.”(Monique Truong). One manifestation is the disagreement whether loans or grants are the appropriate of assistance. Seven is too many – but the analyst must provide a menu from which the decision makers can choose.